To say that the majority of baseball fans are down on Ian Kennedy would be an understatement. When I mentioned that I was going to be writing about Kennedy, a colleague of mine at another site said “Good luck finding something something to write about that s**tbag”. I completely understand that sentiment based on the unhealthy 8.6% walk rate rate Kennedy has compiled this season on his way to a 5.23 ERA (4.59 FIP). That being said, I believe dynasty league owners in need of a starting pitcher have an opportunity to take advantage of Ian Kennedy’s fall from grace. There aren’t any signs he’s injured, he hasn’t lost any velocity, and his pitch variety is consistent with the 2010-2012 seasons in which he found success. So what’s different? 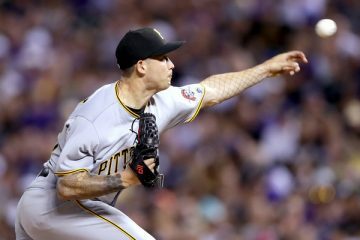 His walk rate has ticked up 2.6 percentage points from the previous two seasons, which is certainly an issue, but he struggled with a similar walk rate in the 2010 season when he had a 3.80 ERA (4.33 FIP). A little bit of the problem might be bad luck, Kennedy’s BABIP is .17 higher than his career average of .284 and he’s seeing nearly 2.7 percentage points more of the fly balls he gives up leave the yard. Kennedy is going to get a chance to iron out his issues in San Diego. The Padres pitching staff has been one of the worst in baseball this season, their starters have combined for a pathetic 1.3 WAR. Sometimes all a pitcher needs is a change of scenery. 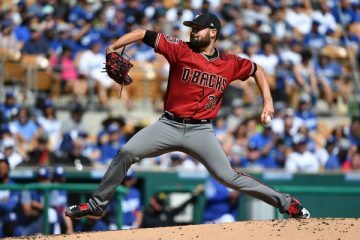 San Diego’s pitcher coach may see an adjustment that needs to be made that was overlooked in Arizona, Kennedy could regain his command and control. Even if his walk rate remains high, PETCO Park can cover up some of the weaknesses in Kennedy’s game. A fly ball pitcher like Kennedy can flourish in San Diego. His HR/FB rate should regress towards 10%, driving his ERA down. I feel that Ian Kennedy is a pitcher worth taking a risk on. You shouldn’t have to give up much to acquire him, so it’s a relatively low risk. Worst case scenario, you get a 5th starter who is in no immediate danger of losing his job. That’s incredibly valuable in a super deep league like the 20 team one I play in. If he regains his command and control, Kennedy could be an extremely solid big league starter and a valuable asset. 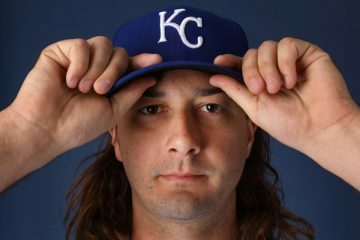 He’s just two years removed from a 2.88 ERA (3.22 FIP) season in which he logged 222.0 IP.